Crazy May Days: Get your sk8 on! 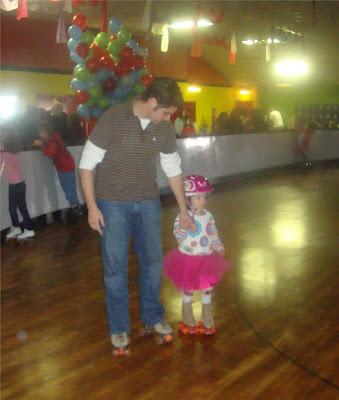 This weekend we celebrated my niece's 7th birthday at the roller rink! 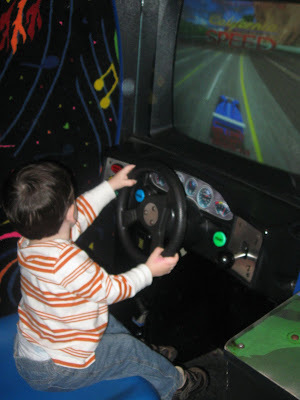 I know what you are thinking---- are we crazy for taking toddlers?! I have to tell you though---(much to my shock!) --- it was incredible and they did GREAT! 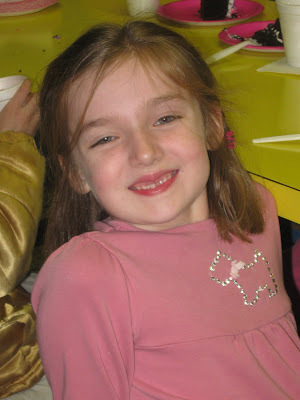 And for the birthday girl, what a FUN way to celebrate seven! I have to say that seven might be one of my favorite kid ages. I mean really, what is not to love? You have the tooth fairy, sleepovers, girl scouts, sports, bubble gum and the ability to play Nintendo DS. Life just can't get any sweeter... at least, here's hoping for our kids! 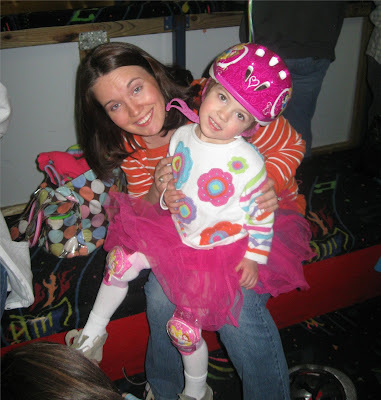 Roller skating with our kids was an adventure. It is funny because everything is the same as how you remembered it from childhood but suddenly you feel a little overwhelmed... the flashing lights, kids on wheels suddenly brings chaos when you are trying to keep track of two very INDEPENDENT Mays with skates for shoes. 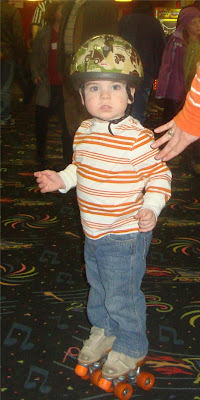 I can't believe they have skates as small as they do (toddler size 6). They can lock the wheels so that the little ones are more independent with their movement. Gabriel and Molly took this to mean that we in NO shape or form had to hold on to them. Did I mention the millions of kids on the rink? Fun times! It took us a few attempts to get the right size (mainly because they kept giving us two right skates...) but we made it...helmets and all! 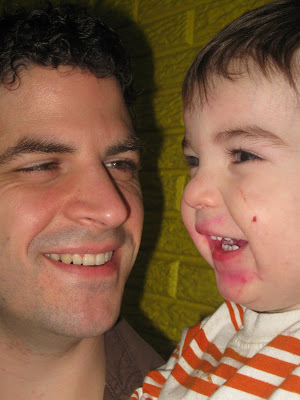 This was about the only time Gabriel let me touch him. Mr. INDEPENDENT. Can we say hello almost two-year-old? Gabe did great but he was a bit overstimulated and thus called upon his battle cry. If you have yet to witness the battle cry--- consider yourself lucky. So our rollerskating adventure was a success and we will definitely be back for more skating fun... helmets and all! I love roller skating and I LOVE Molly's tutu! How fun.